WOODS OF ST THOMAS is a development of all brick family homes that are accessed from Seminary Drive and Brownsboro Road. They are located outside the Watterson Expressway and I-71 would be to the north. 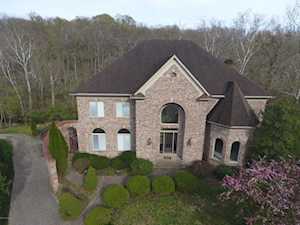 You will find these custom built homes to be in a very stable section of Jefferson County. Since these homes are custom built, there vary in appearance and are very pleasing to the eye. Most of these homes will have a basement, although not all of them have a finished basement. It is not unusual to find homes here with over 4,000 square feet of finished living space. These homes normally sell in the 300’s to 400’s with the estate section bringing in excess of 600,000 dollars. The Hollinden Team has also included The Woods of St. Thomas Estates section as it is part of the area. The search for Woods of St. Thomas homes is updated on a daily basis from the Louisville MLS. 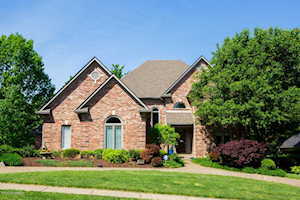 Feel free to use the Advance Search Tools of our Louisville MLS to find other homes for sale. Herr Lane will take you to Westport Village, which is one of the newest developed shopping areas. There is an excess of 25 unique shops and something for everyone. Since there is a new interchange on the Watterson from Westport Road, this gives us another avenue to hit the freeway system for work, shopping, or play. You will find St. Matthews is very close along with Oxmoor Mall and Mall St. Mathews. Ballard High School is right around the corner and Kammerer Middle School is also very close. The two nearby elementary schools are Dunn Elementary and Wilder Elementary. 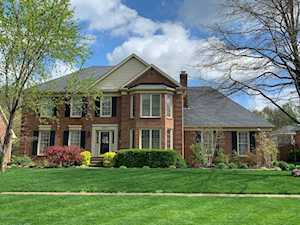 If you would like to learn more or have any questions about any of these Woods of Saint Thomas houses for sale, or other Louisville KY homes, just click the "Request More Information" button on any property detail page. The Hollinden Team can provide you with past sale information, comparables, disclosures, PVA assessment, and tax information – we would love to answer any real estate questions you have. You can reach Real Estate Agent Tim Hollinden at 502-429-3866 for more information on these houses for sale in Woods of Saint Thomas.